Although relatively unknown, the works of the 19th century Norwegian composer Hjalmar Borgstrøm are now being re-assessed. 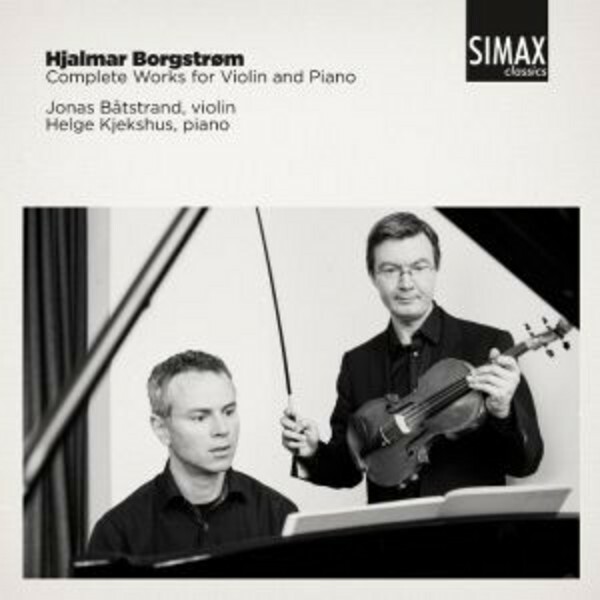 Violinist Jonas Båtstrand has already recorded his magnificent Violin Concerto, and with this CD Simax is releasing the complete chamber music for violin and piano with the same violinist accompanied by Helge Kjekshus. Born in Norway in 1864, the composer Hjalmar Borgstrøm moved to Germany in 1890 where he studied and worked for the next 13 years. He returned to his homeland in 1903, and established himself as a predominant figure in Norwegian musical life, both through his large-scale works and the authoritative literary and critical pieces that he wrote in the daily press for almost 20 years. He died in Oslo in 1925 at the age of 61. Hjalmar Borgstøm had a remarkable gift as a melody maker, and his reputation was confirmed with the opera ‘Thora from Rimol’ (PSC1230) and the Violin Concerto and symphonic poems (PSC1311). Borgstrøm’s Violin Sonata in G major, op.19, was premiered in Christiania on 28 November 1906 with the violinist Gustav Lange and Amalie Borgstrøm at the piano. The Romanze in E major, op.12, is dedicated to the legendary Belgian violinist and composer Eugène Ysaÿe, but whether or not he performed it is unknown. The three remaining violin pieces featured on the disc - Serenade, Elegie and Berceuse - are preserved in manuscript in the National Library in Oslo.